Listify has the ability to have any menu item in the Primary, Secondary, or Tertiary menu areas to be displayed as a popup window when clicked. To do this, we simply need to add a custom CSS class to the menu item we want to pop up. The class " popup" must be included to trigger the popup. 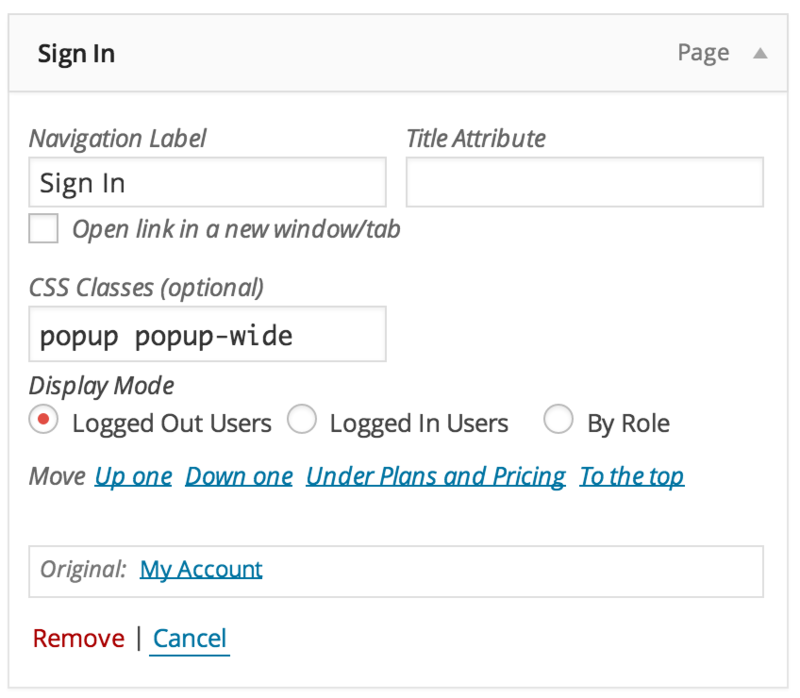 You can also add "popup-wide" to create a wider item if the page you are popping up needs a wider layout. This is good when using the Social Login and standard login forms.